After a failed attempt to have a late lunch or early dinner at Lao Wang Noodle House (“Come back Wednesday.” — Apparently they close earlier on Sundays than Yelp indicated. Reminder: never put too much trust in Yelp. ), we ended up at a place we know would welcome us with spectacular service and delicious cuisine: DaLat Vietnamese Cuisine. 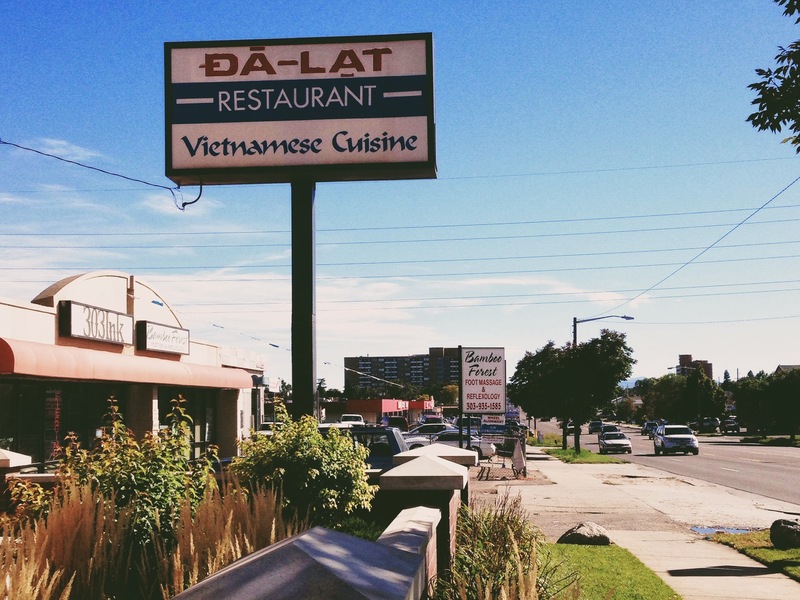 We first tried DaLat several months ago, after Eater alerted me to its existence with their list of “Denver’s Hottest Ethnic Restaurants.” And yet, despite this press, we were the only people in the restaurant during both visits. People of Denver, where are you? You are missing out! 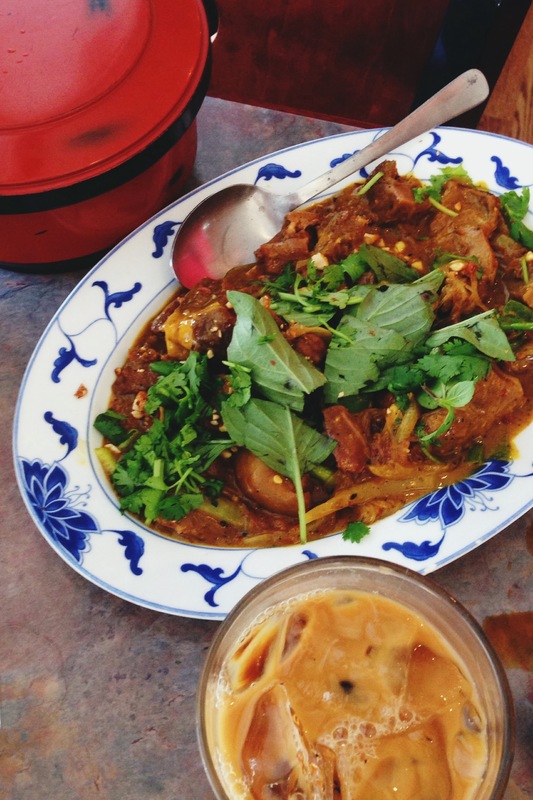 DaLat is some of the best Southeast Asian food I’ve had outside of Southeast Asia. And the ambiance is great; casual and warm. They make you feel very welcome there. Even when your toddler is dropping noodles on the floor. Their menu is extensive, so it’s hard to know if you’re ordering the “right thing,” but everything that comes out of the kitchen has explosive and complex flavors that perfectly complement whatever other ingredients are in the dish. 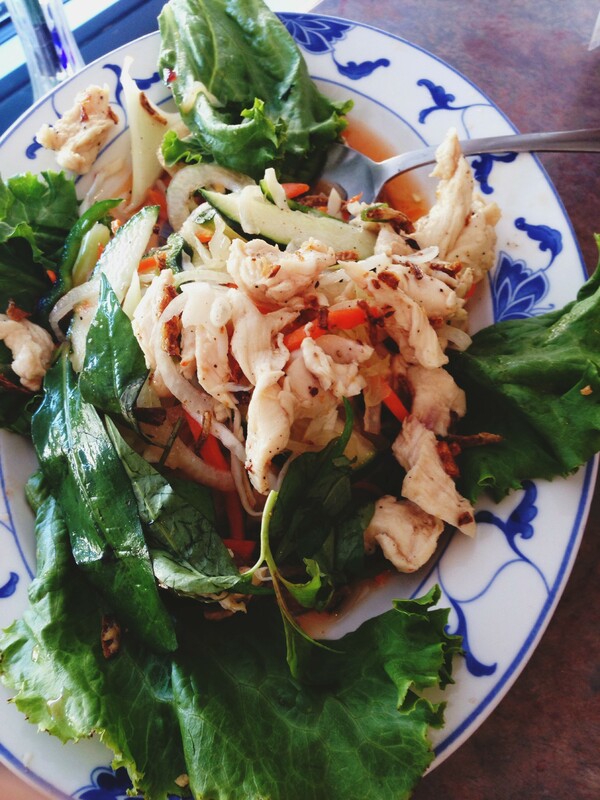 Both times we ordered the Chicken Salad, which is essentially Larb, and a perfect starter. 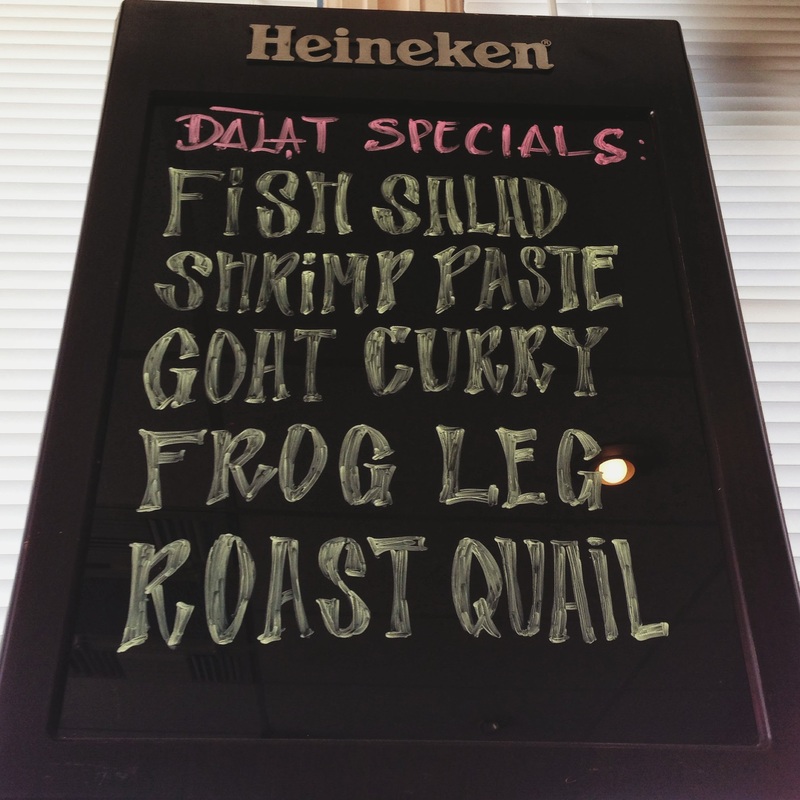 Today Dan felt a bit adventurous, ordering the Goat Curry special. I was skeptical, but was undeniably proven wrong. It was unbelievable. Hearty; with the perfect balance of sweet, salty, and spicy. It was served with rice but also had rice noodles mixed in the curry, which added a nice thickness to the sauce. I enjoyed the Tofu Noodle Bowl, which could have been a bit more spicy (the Siracha was missing from our table and I didn’t realize it was on others), but the tofu was well-seasoned with lemongrass and the ratio of vegetables to noodles was perfect. And the Vietnamese coffee with condensed milk hit the spot, obviously. But if you’re not there midday like we were, I highly recommend a “33” beer. Whatever you order, I’m pretty convinced you can’t go wrong. They know what they’re doing at DaLat. Hidden gem! We need to try this place out! Put it on the list to take us. Awesome. Very jealous! 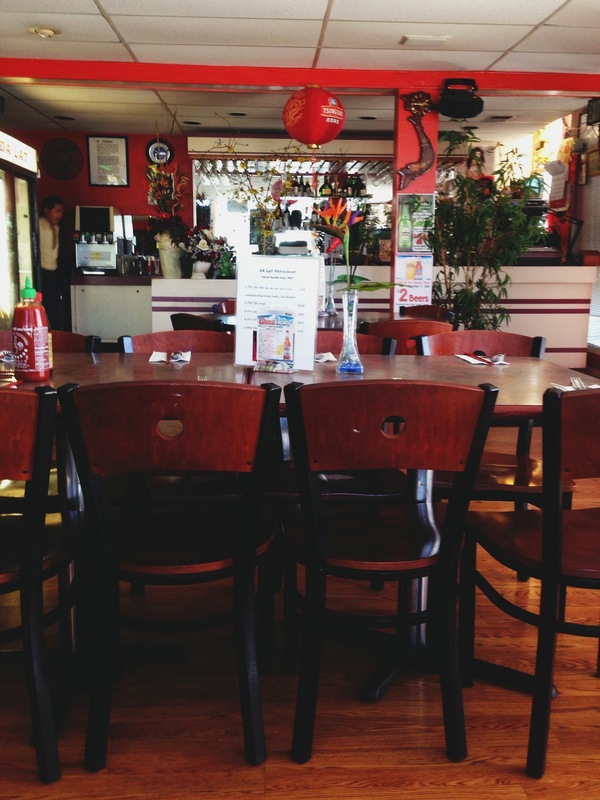 Not much great Southeast Asian food in Boston. 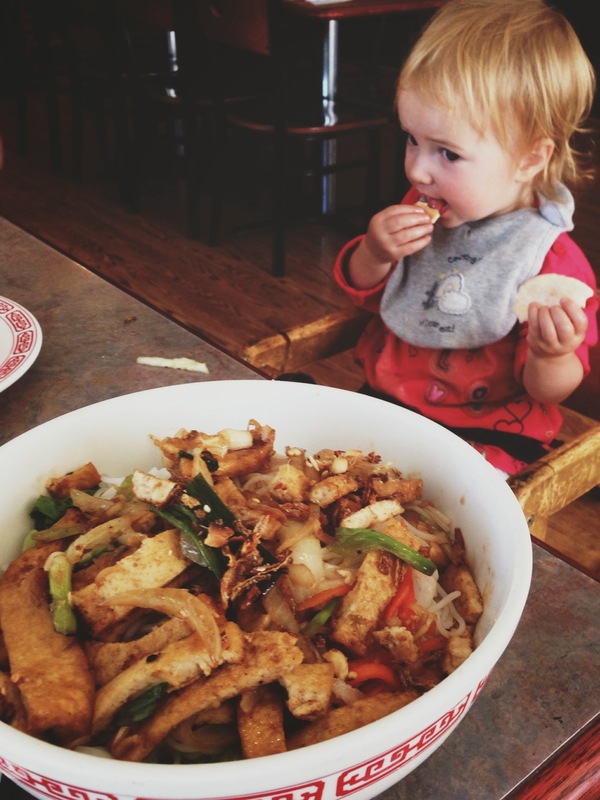 However: along the ethnic lines: we have 2 new finds in Boston for when you guys are around: authentic Xian flatbread noodles, and whole chicken Sichuanese soup.